Can you tell I want spring to hurry up and come? I’ve been using a lot of the same color palette lately, mixing and glazing and layering and experimenting with all of the soft natural colors of nature in springtime. 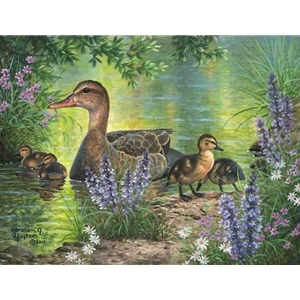 This picture perfect family of ducks is going exploring on the backwater banks of a lake and soaking up the beauty of spring!